If you’ve not misplaced or broken your car keys before, you may not think it’s necessary to know about Chevrolet key replacement. But, it’s vital to understand that these replacement keys can be a life saver. It’s a life saver not just as a replacement to your lost keys but for other purposes. With Chevy key replacement, you won’t be so dismayed if you mistakenly lock yourself out. If you ever be in this situation, you will understand why having a replacement key is important. There are different factors that can determine the overall cost of Chevy key replacement. The more things you need to consider, the more expensive the replacement will be. You also need to understand that there are differences between cutting a new car key and having a duplicate key. If you want a duplicate in case you lock yourself out, you will need your original to create a duplicate. This is usually less expensive. On the other hand, having a complete replacement is more expensive. But it does not require having the original car key. Need to replace you key? So if you’ve lost your original car key, your only option is to get Chevy key replacement. In this case, a dealership or a professional locksmith will come in handy. They will help you get a replacement key for your car. As stated earlier, certain factors will determine the Chevy key replacement cost. But the model of the car and its manufactured date are the most critical factors that can determine the cost. There are some other factors that may increase the cost to a respectable level. You can carry out your car replacement in a locksmith, or a dealership. A dealership will not just provide the replacement service for you but help you select the right car key blanks for your Chevrolet car. Of course, this may come with its costs. Dealership or locksmiths are professionals and they are more likely to tell you the actual cost of the service rendered to you than your local spare parts dealer. Your Chevrolet car’s model will be very vital to determine what you pay for car key replacement. This is why it’s important to understand your car’s model before looking for a replacement car key. Your car manual should have all the information about the car model when looking for replacement. If the car is a newer model, the replacement key will surely be more expensive than an older model. Having this information is necessary to know the overall cost you will pay. With the car manual, you will be able to know if your car model has standard keys, which are far easier to replace. Standard keys are cheaper to replace. But cars with these keys are gradually going into extinction. They are being replaced by cars with smart keys. Most cars now come with switchable keys, laser cut keys, remote parts, transponder chips, and key fobs. And the new models of Chevrolet have all these features. So, you have to call he services of a locksmith to help you create another key. The information on the manual will give you an update on your car model. You will need to provide such information when discussing with a dealer concerning replacement of your car key. The age of your car is one of the most important things to consider when finding out the replacement cost. Generally, the newer models will be more expensive than the older models. This is not just because their parts are more expensive. It’s also because they have more features than older models. So, it’s important to understand your car’s age if you are looking at the cost of key replacement. Locksmith usually consider the car’s age before placing a cost for key replacement. After considering all the factors that determine the car key replacement cost, it’s time to know the actual figures. We will look at the simple replacement cost. We will also look at and how the price can change dramatically if you are considering other additional services. Such additional services include transponder keys, Chevy key fob programming, and Chevy replacement key fob. If you are only interested in duplicating your Chevy key, you will have to spend between $120 and $250. And as mentioned earlier., the actual cost depends on other additional services. But a complete replacement is way more expensive than that. You need to pay not only for the basic replacement but for other additional services for the complete replacement. For older Chevrolet cars with simple features, replacement does not take much time and cost. This is because there are little technical details involved in the replacement. But for new models transponder keys, you need to consider the coding process. This is what makes the replacement of newer cars more expensive than older ones. A whole lot of things changed in car accessories at the beginning of the 21st century. The automotive industry witnessed a large overhaul in the technological gadgets for automobiles. This was meant to provide more safety, convenience, and security for car owners. As such, car key models were revamped with transponder chips. This helps to improve the safety features of the car. As manufacturers improved the car’s safety, it becomes more difficult to create duplicates for the car keys. This is why it’s more expensive to create a duplicate or a replacement for a car key. The entire process is more technical and time consuming. In most cases, a car key duplicate will not be able to open a car whose original key has a transponder chip. To solve this problem, dealers or locksmiths usually carry out a programming system. It’s to make sure that the transponder works hand in hand with your car’s ignition receiver. This process is quite technical, which raises the overall cost of your Chevrolet key replacement. One important thing is to know the difference between transponder key programming, key replacement, and key duplication. These tasks have their own differences and technical details, so their cost will definitely vary. Transponders require coding before they can fit properly with the new key. This takes a little more time to complete. It can be quite frustrating if you misplace your car key, especially when there is no duplicate key available. Replacing the keys will definitely take some cash off your savings. But in this case, there is nothing to do other than to get a perfect and high quality replacement. If you have a new car model, it will be more expensive to replace its keys. It’s important to order for your car key replacement from the right dealership or a professional locksmith. You also have the option of ordering premium quality car key from a trusted vendor. Overall, your car key provides convenience and security for your ride. So it’s important to get the right replacement car key whenever you misplace the original one. 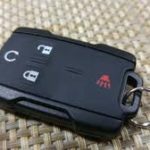 When it comes to your security and car’s safety, settling for an inferior car key is not an option. The safest way to get genuine Chevrolet car key replacement is to get it from our car dealer. However, you have to pay more for their services. This is because they are providing authentic and high quality replacement. However, they will require certain information such as your Chevrolet’s identification number to successfully complete their job. To change the remote device, you need to pay about $200 for the entire service. You can weight up other options if you feel you don’t have enough to pay such amount on Chevrolet key replacement. A locksmith or a spare parts dealer may be cheaper. But you may not get the assurance of quality as you would get from a dealer. You may feel quality is not really the most important thing to consider here, since all car keys makes use of solid material. But quality in this sense refers to how fitting the new car key will be to the ignition and door. So if you have the money to spend on a quality car key replacement, you should do so. It’s very important for the security and safety of your car. Professional locksmiths will do a very good job when replacing your Chevrolet car key. But the problem is finding the right professional for such task. If your Chevrolet car key has other technical details, you will need an expert to do a good job. But if you have a standard key, few dollars should be enough to get a replacement. Some locksmiths can provide a programmed keyless remote for your car key, although this may come at an additional cost. You need to provide the car’s identification number to do the extra service. Otherwise, a normal car key replacement only requires the Chevrolet’s model as well as the manufacture year of the car. The most recent models of the Chevy brand all come with transponders that provide tighter security against car theft. The transponder works by providing signal to the ignition when you insert the right key. If it’s the wrong key, the ignition will refuse to start, based on the information it receives from the key. To take care of this issue, locksmiths usually program the keys to provide the right signal for the car. 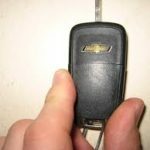 Locksmiths usually provides Chevy key fob to make the replacement key acceptable as the original. A special device is used for this programming, and not all locksmiths can be able to perform this task. That’s why it’s important to contact the right dealership when you are looking for Chevrolet key fob replacement. If you want to select between an online dealership and locksmith near you, remember that they both have their differences. Obviously, it will be cheaper if you contact a local locksmith, but you need to pay more. On the other hand, car dealership can help you take care of advanced car key problem. If the key has a transponder, it will require an expert to fix it. And surely, it’s wiser to stick with a dealership to help you provide the replacement car key. There are few issues you would have to warrant getting a replacement car key for your Chevrolet. If you lock yourself out of your car, you will need to call a dealership to provide a duplicate or a replacement to help you solve the problem and open your car. If you’ve lost or damaged your Chevrolet car key, the only thing to do here is to get a replacement. As new car keys are having chips and transponders, the technological innovation makes replacement a bit complicated. But your professional locksmith can be a great help to provide the perfect replacement key for the car. All you need to do is provide information about the Chevrolet car’s model, age, and identification number for security reasons. With this information, you are surely going to get a genuine replacement key with no hassles.